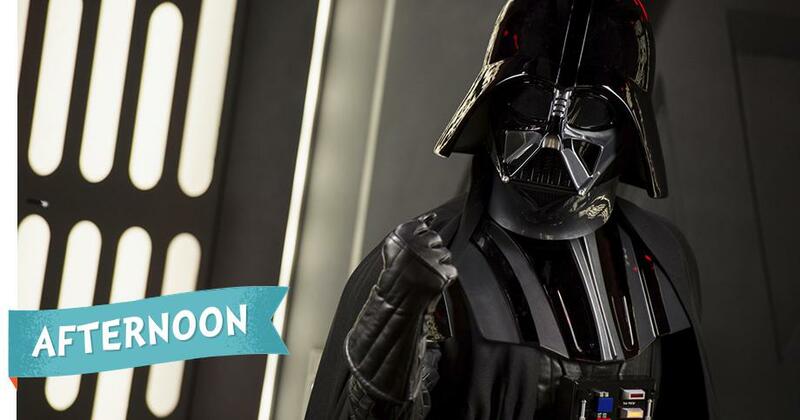 Now that you’ve arrived at Disneyland® Park, the Happiest Place on Earth and maybe even in the galaxy . . . how do you squeeze the most happiness out of the day for you and your family? There‘s plenty of potential, and for Disney Visa® Cardmembers, plenty of perks and rewards! To help you enjoy your visit to the fullest, we’ve created a Day Planner full of options on who to meet, what attractions to see, goodies to eat and souvenirs to bring home! Have Breakfast with a Character – Make a reservation at Plaza Inn to fuel a day of fun with Mickey waffles, fresh fruit and more at Plaza Inn on Main Street, U.S.A.! Plaza Inn is a great way for the family to meet a beloved Disney Character while you dine, without waiting in line! Meet a Fairy Friend at Pixie Hollow – Perfect for little ones, you could meet your fav fairy, pixie dust and all! Grab a PhotoPass® from the official Disney photographer for your pictures here and throughout the Park. Sync the code on the back of the card to your account on the official Disneyland Mobile App to view and share them throughout the day! 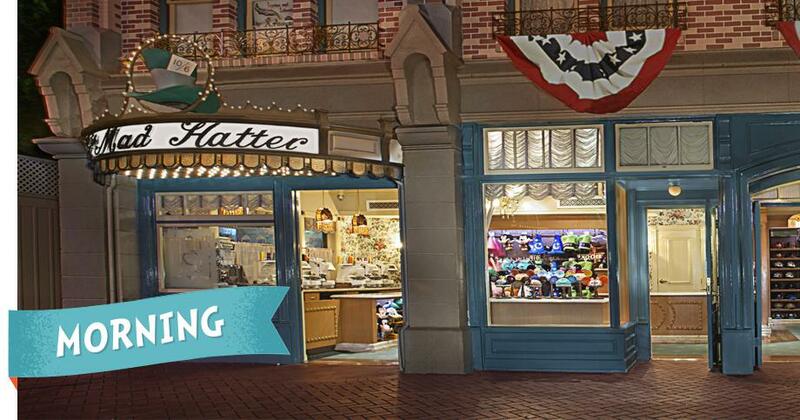 “Walk in Walt’s Disneyland® Footsteps” Guided Tour – Take a three-hour journey through Disneyland® Park’s history! Starting at 9:30am every day, tour guides give you an inside look at the Park through the eyes of its creator. Cardmembers get 15% off the non-discounted price of this unforgettable experience!4 Call ahead for more information and to make your reservation. Cast Member Tip: The official Disneyland Mobile App will turn your phone or mobile device into a valuable resource for wait times at attractions, making dining reservations, finding Characters, and much more! Meet a Character, Get An Autograph – A photo with a Character is always a great memory, and remember many Disney Characters can give you autographs, too! Keep a marker handy and bring an autograph book! Find Your “Laughing Place” at Splash Mountain – ”Wet” your whistle with an exciting drop and a big splashdown! Where you’re seated will determine how wet you’ll likely get. Riders in the back may just experience a sudden splash or spray; those who opt for the front can expect to get soaked. And be sure to grab the official attraction photo for a memory that will always take you to your “laughing place”! Cast Member Tip: Families, couples, or any group can make truly one-of-a-kind memories by customizing their look in the Park. Cast Members recommend personalized Mickey Ears or face painting. Stop by Fairytale Faces (located in Fantasyland between the Matterhorn Bobsleds and it’s a small world) and be sure to keep your receipt for complimentary touch-ups throughout the day! Visit Haunted Mansion and Pirates of the Caribbean – Happy haunts and plundering pirates await… but don’t worry, there are scares and smiles in store! Watch the Parade – On select nights, prepare to be dazzled by the lights, music and Characters in the Main Street Electrical Parade as they march down Main Street, U.S.A. Be sure to check with a Cast Member or view this daily schedule for parade times, and in case of inclement weather. There are even special dining packages that come with prime viewing locations, so don’t forget to call ahead to reserve your spot! Cast Member Tip: Along with the Disneyland Mobile App, every Cast Member you’ll meet has show info, like times and locations, for the day’s parades, special Character Experiences, and more. Remember… Dreams Come True – On select nights, the fireworks nighttime spectacular above Sleeping Beauty Castle will bring a grand finale to a grand day. Walt Disney used to call these nighttime spectaculars a “kiss goodnight” to guests at Disneyland® Park, and when you hear the music and see the lights, you’re sure to feel the love, too. 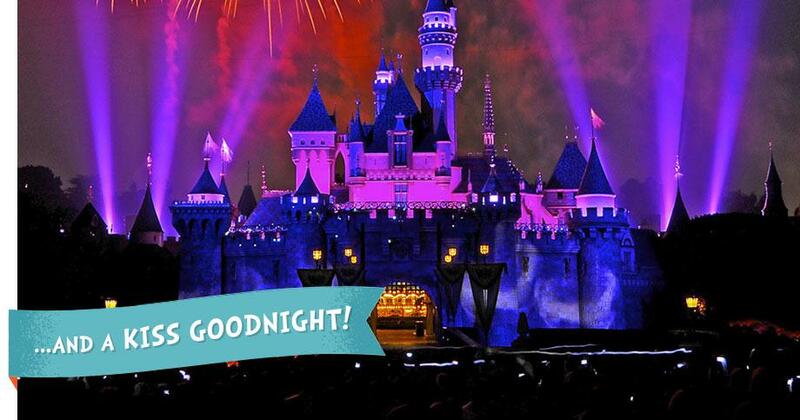 Cast Member Tip: Many go to Sleeping Beauty Castle for the Fireworks, but to take in the biggest picture possible, Cast Members recommend finding a spot to view the fireworks farther back along Main Street, U.S.A. Also, check the daily schedule to verify show times, and in case of any inclement weather for the most up-to-date information. Not yet a Cardmember? 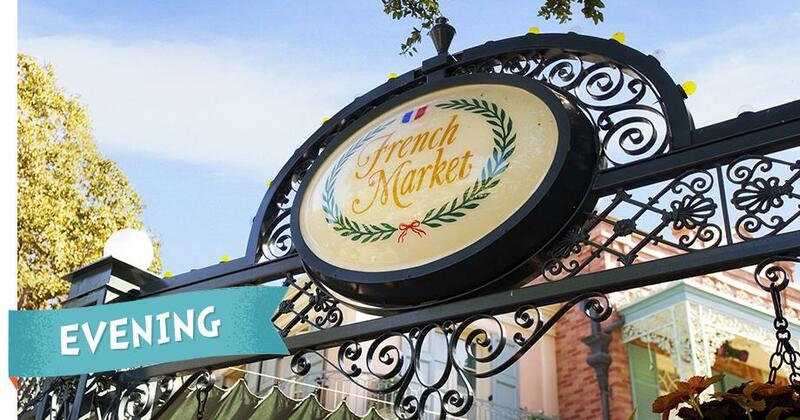 Discover the awesome perks and rewards the card can bring to your next visit at Disneyland® Park.